This new range of specialist titles extends the scope of the Market Leader series and allows teachers to focus on specific areas of business such as law, banking and finance, logistics and human resources. These titles can be used on their own or alongside other business English coursebooks. 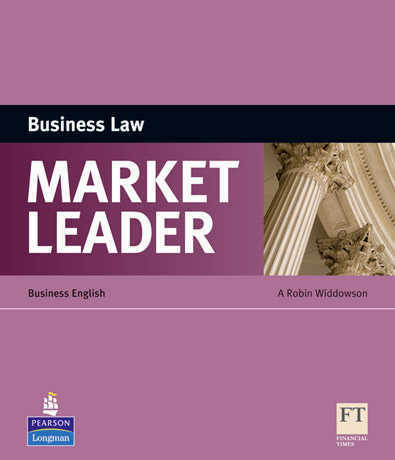 Market Leader Business Law is one of a range of new specialist titles designed for use on its own or with the Market Leader series. Ideal for students who need to learn the language of more specialised areas of business English, the book focuses on the reading skills and vocabulary development required for business law.